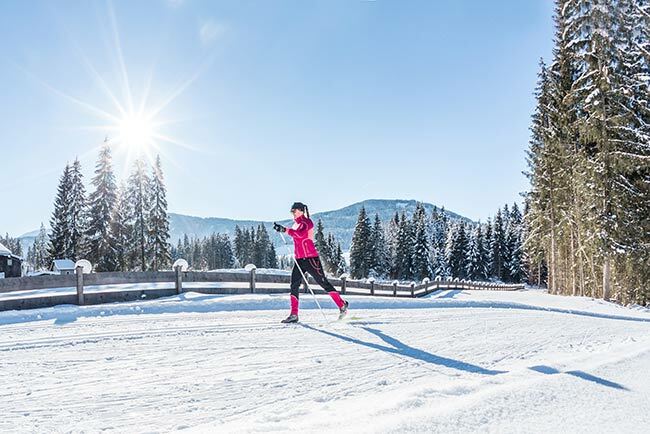 Cross-country skiing in Kitzbühel is good for you; and it is especially beautiful and varied in the magical winter surroundings of the Brixen Valley. The cross-country skiing network covers the Kitzbüheler Horn, the Wilder Kaiser, the Kitzbühel region and the broad Brixen Valley, right across to Hopfgarten and Angerberg. Cross-country ski trails in the Kitzbühel Alps are free to use. This trail starts at the Kitzbühel-Schwarzsee-Reith golf club and cuts across rugged terrain to the Reith ski lifts near the village centre and then back to the golf club. The intermediate trail is 6.6km long with an elevation gain of 162m. It is suited to both skate and classic skiers, offering breathtaking views of the majestic summits. 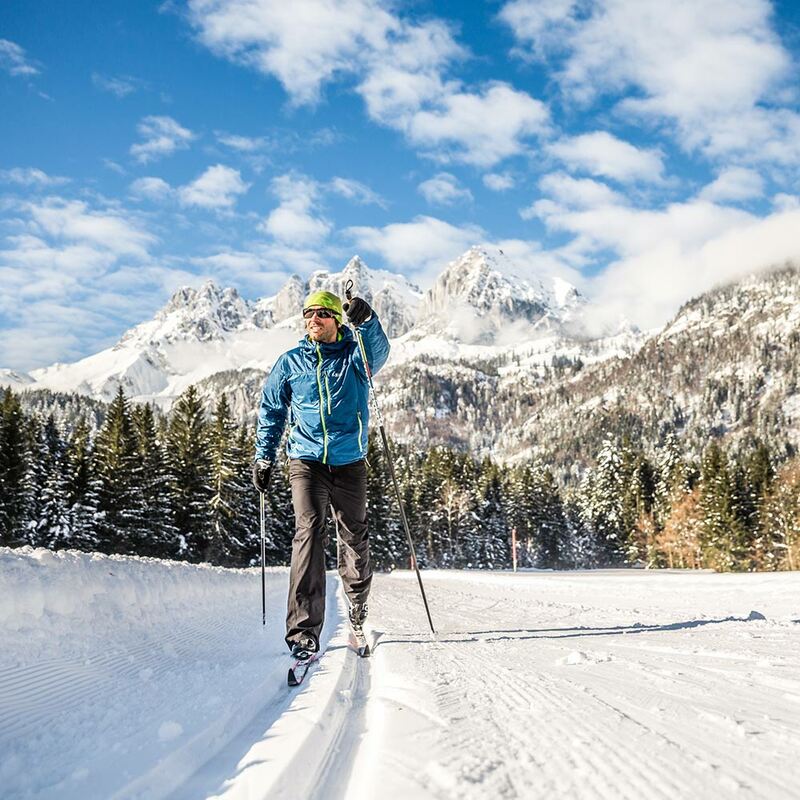 This is where Austrian cross-country skiers David and Benjamin Kreiner train. This is a new, sun-kissed cross-country ski trail. On average, it takes one and a half hours to complete the trail. With an elevation gain of 200m and a distance of 2.5km, the trail is rated intermediate. In fair weather, you are rewarded with incredible views of the surrounding peaks while cross-country skiing in Kitzbühel. Skate or classic? Many ski schools in Kirchberg offer cross-country skiing lessons. Equipment can be hired from specialist sports shops in Kirchberg. 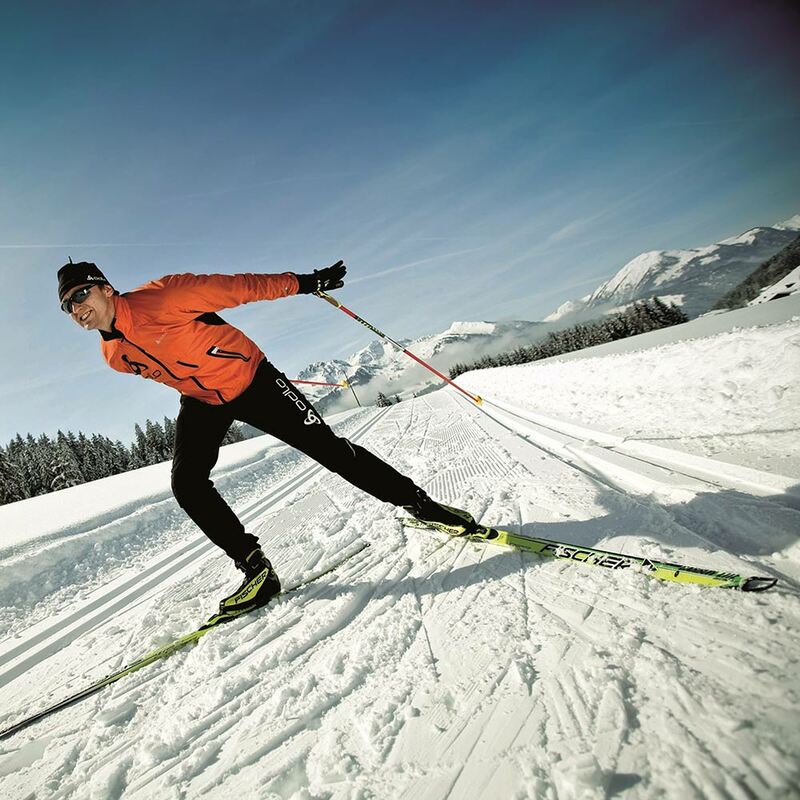 Tip: If you would like to book lessons or hire cross-country skiing equipment, our concierge service at the 5-star Relais & Châteaux Rosengarten will be happy to help you plan and organise your cross-country skiing in Kitzbühel experience.